When you think of Tarte cosmetics visions of their best selling clay blushes most likely come to mind? Yeah me too but if you like the Tarte Amazon Clay Blushes let me be the one to tell you that you will love (pronounce it as lurvvve, it's that serious) the Tarte Prismatic Eye Colour Enhancing Shadow Palette. Gah they are so, so, soooo good! All of the new Tarte Prismatic Eye Colour Enhancing Shadow Palettes all (there is three palettes to choose from but more on that later) come in sweet little metallic, almost knitted effect cases. It is quite striking, yes the palettes are a little bulky considering they only contain four shades but pretty none the less. If you look closely the surround that separates the eyeshadows is actually colour coordinated - mine is blue as my kit is for blue/grey eyes. 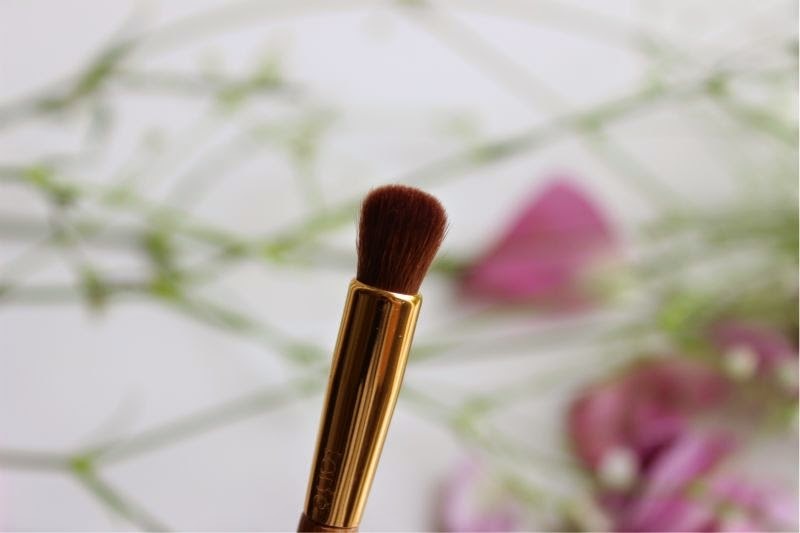 What I particularly like about the majority of Tarte products is that they come with a brush. 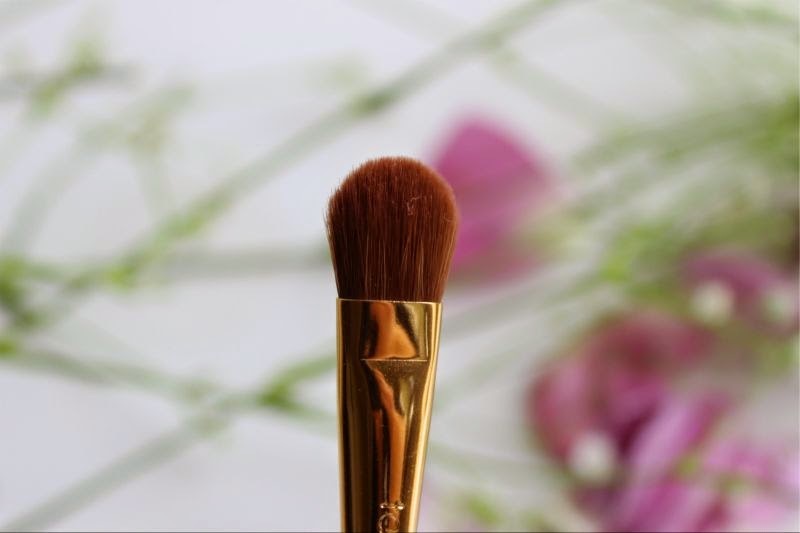 Now Tarte brushes are not to be missed, they are of course fully vegan but feature the softest bristles know to man. I have said it before and will say it again I would happily cough up the price of this palette (£29) for the brush alone. The double ended brush features an flat, paddle brush for precision or to pack on product and the dense end allows you to both blend out . I really could go on and on about Tarte brushes, the quality is that great! 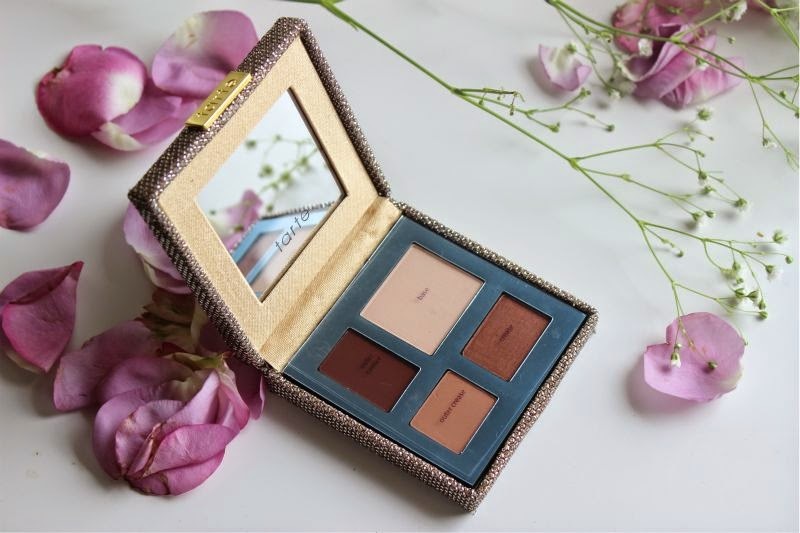 The Tarte Prismatic Eye Colour Enhancing Shadow Palette's have of course been created to make the most of your natural eye colour, there is three colour ways to choose from: Blue Eyes, Green Eyes and Brown Eyes. I technically have grey eyes so I went for the blue option and I'd imagine those with hazel eyes could go for either the brown or green palettes depending on which shades appeal to you more? Each palette feature four eyeshadows (three matte, one shimmer) all of which are labelled (crease, base etc) for ease of use but as with everything you can apply however you see fit! 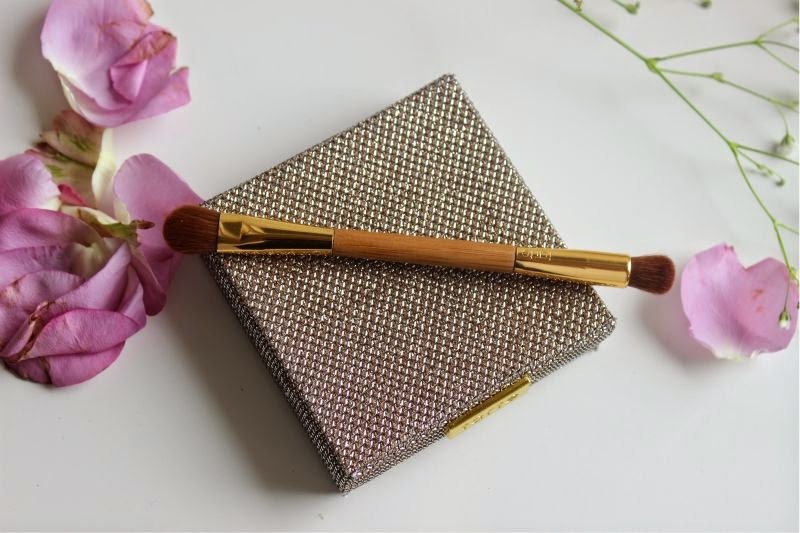 The Tarte Prismatic Eye Colour Enhancing Shadow Palette's have adopted a fairly neutral colour scheme so that they are not only suitable for everyday wear but also beginners. I really can not fault the concept (or the quality for that matter). I will admit that I do have dupes of just about every shade within the Tarte Prismatic Eye Colour Enhancing Shadow Palette in For True Blues but the quality of the eyeshadows are so mind blowing-ly good that I honestly don't mind. My swatches above are of one swipe of powder, using the dense end of the brush that comes with the kit. The pigment is so intense that less really is more, however having said that they do blend out beautifully. You can also dampen the shadows and apply as a liquid eyeliner should you wish. 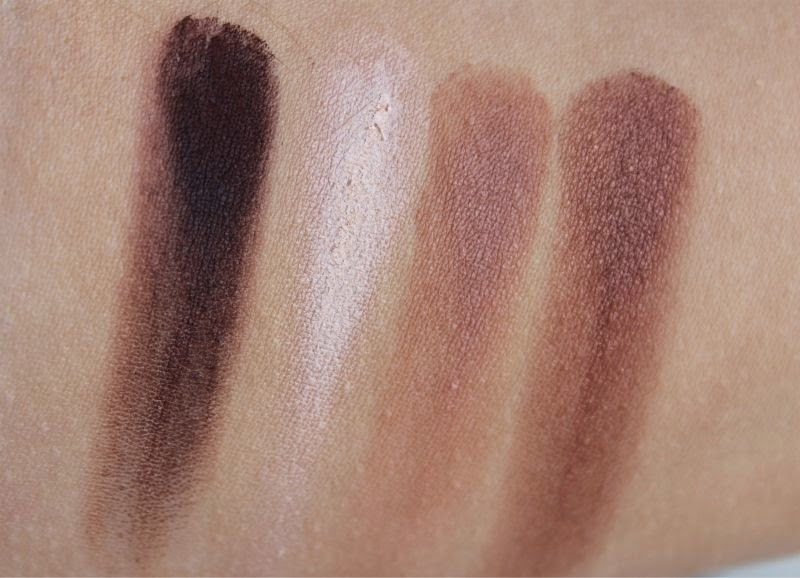 The formula is soft yet doesn't yield an abundance of product fall out, the mattes are silken and not ashen or chalky in any sense and the shimmer shade is so refined that even mature skin types can thoroughly enjoy the formulation. Unlike the blushes this eyeshadow palette doesn't come with any wear claims but with a primer they stayed crease and fade free for over eight hours. Okay £29 is steep for an eyeshadow palette but the quality is there and the fact it comes with an equally well made brush softens the blow...a little. I don't often say this but you need a Tarte eyeshadow palette in your life. Tarte Prismatic Eye Colour Enhancing Shadow Palette £29 via QVC - link. This post contains a press sample. Love the packaging, so cute! I really want to try out some tarte products! This is so pretty! 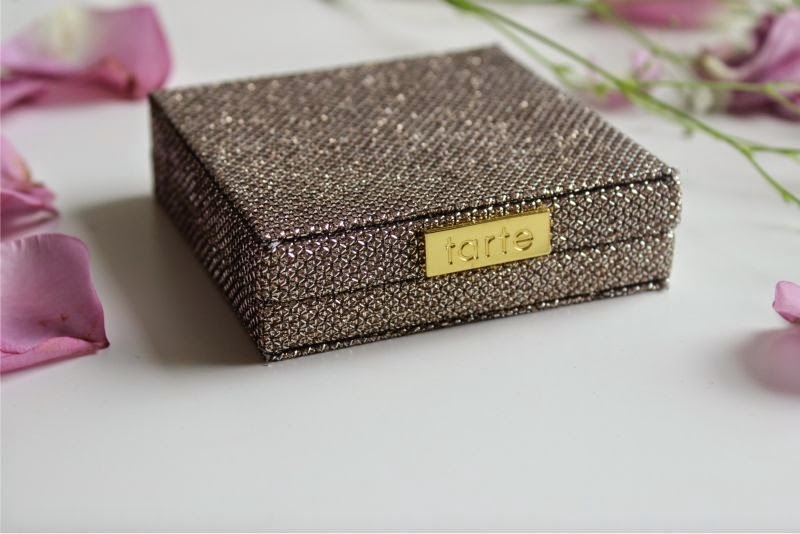 Wish I had tarte products in Dubai :( I've always wanted to try their products! That packaging is amazing - I love the Tarte packaging in general and it's amazing to see a product in which everything is at an amazing standard. I really love tarte eyeshadows... I think I have started to gravitate to them more than Urban Decay! Also, every brush I have from them is so amazing in terms of quality, I'm desperate to get my hands on more haha! This is lovely although seems very warm toned. I've got grey eyes too but pinky toned skin. Is it as warm in the flesh? The packaging on this is so beautiful, Tarte never fails in this department! As someone with bluey-green eyes this is definitely an amazing colour selection as I find these are the colours that I find suit me most. Love the packaging. 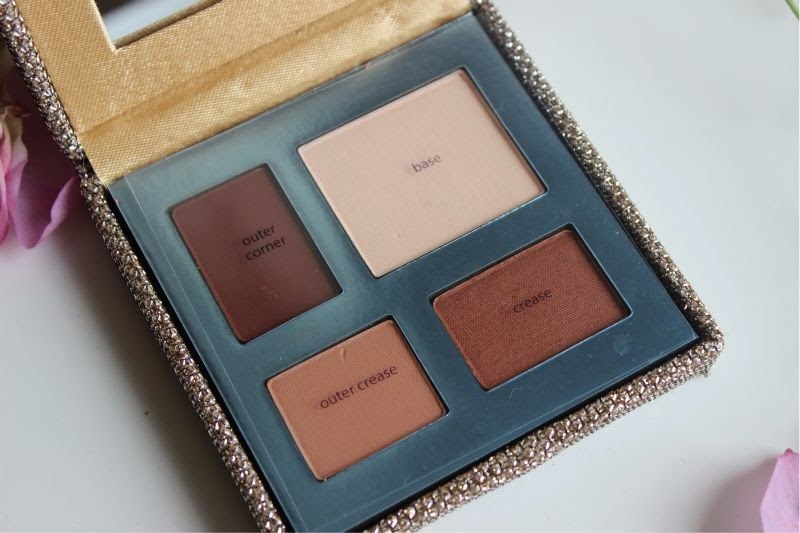 This looks like the most amazing palette. I adore Tarte! The shades look great. 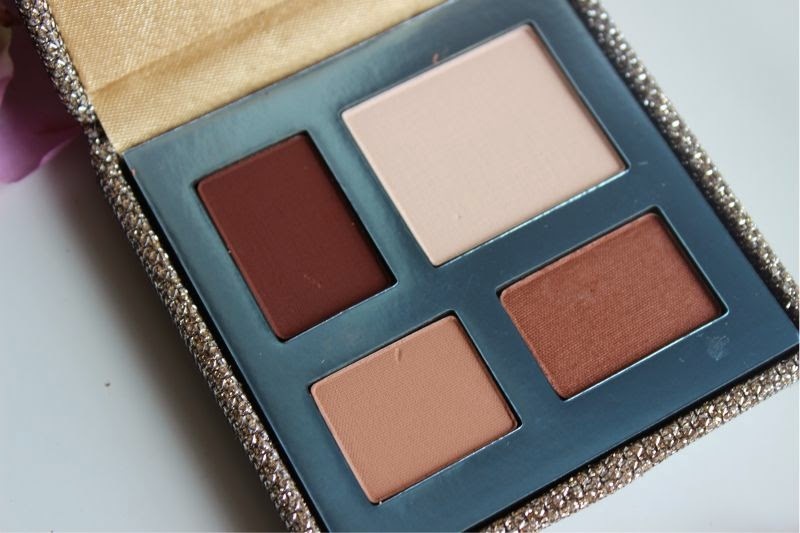 very wearable but with a possibility of a smoky eye which lots of neutral palettes lack! I have never tried Tarte eyeshadows, but I love how pigmented they look! Waw the pigmentation is so good! I've never tried anything of Tarte before. I should really look into Tarte shadows! 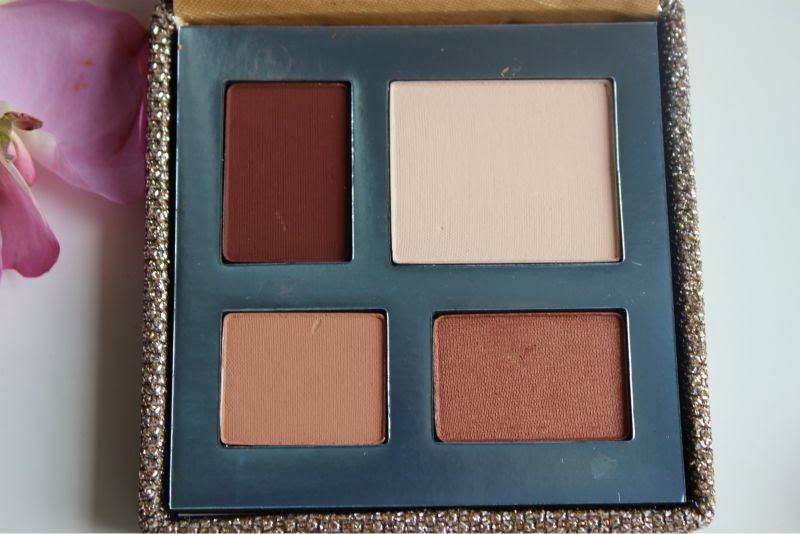 can not wait to see the other two palettes. love the packaging and colours. will be purchasing.